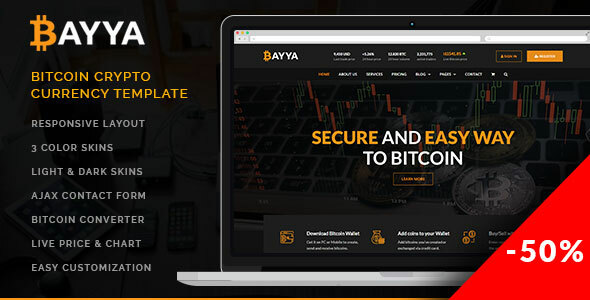 Bayya is a beautiful website template designed for bitcoin crypto currency mining and exchange websites. 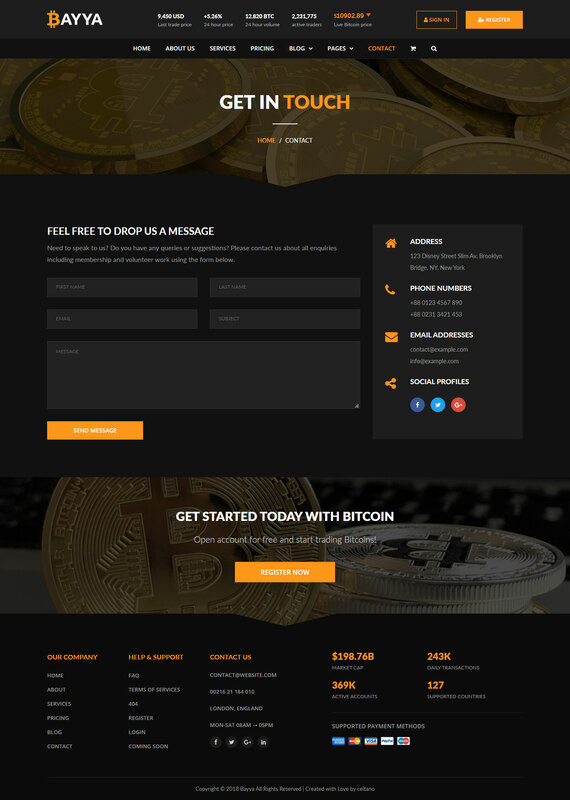 The template has niche oriented design, bullet proof consistency and huge set of layout elements which empowers you to create professional website at minimal cost and efforts. 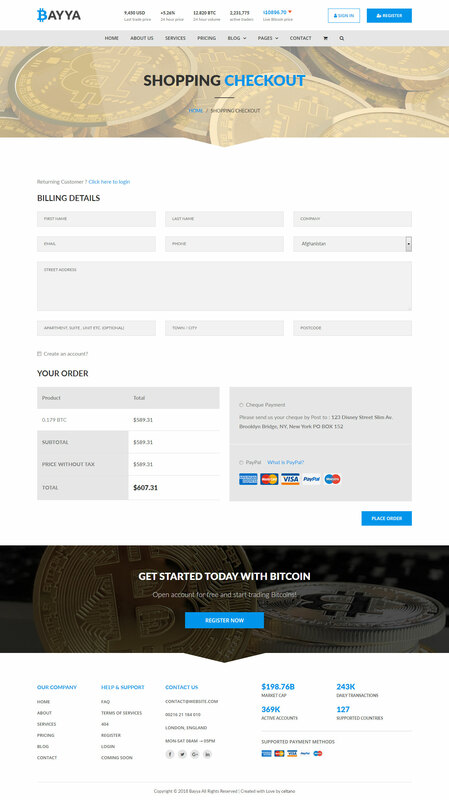 also, you don’t need coding skills to customize the template to your needs.